Any owner of a Defender that uses their phone for sat-nav will know the frustration that is having nowhere to put it… Either you balance it on the dash in front of you and it blocks the air vent, leaving you with a foggy patch on damp days, or you lay it on the cubby box in between your seats meaning you have to take your eyes off the road to view it. 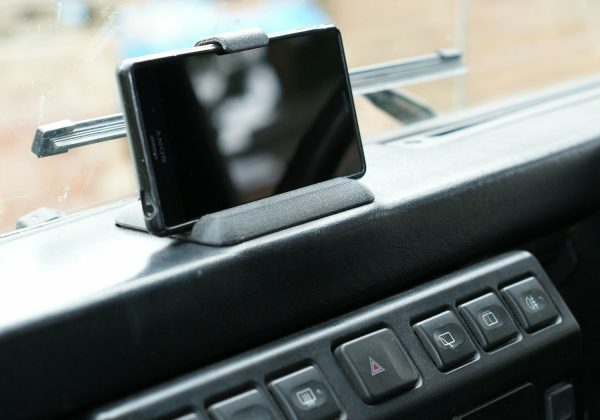 Existing phone holders aren’t very good: suction cups are big and obstruct your vision through an already small windscreen and the cradle type drop your phone at the first sight of a bump in the road. This is our solution. 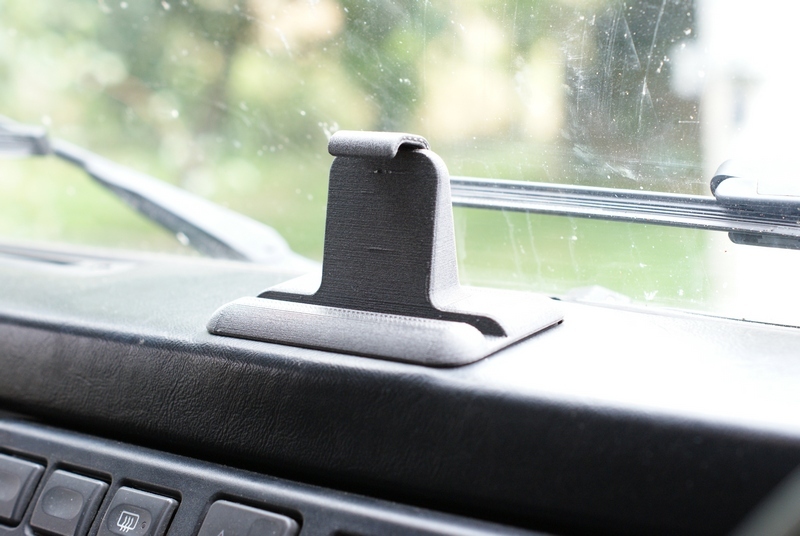 It replaces the ash tray in the middle of your Ninety or Defender dash and fits models up to TD5. 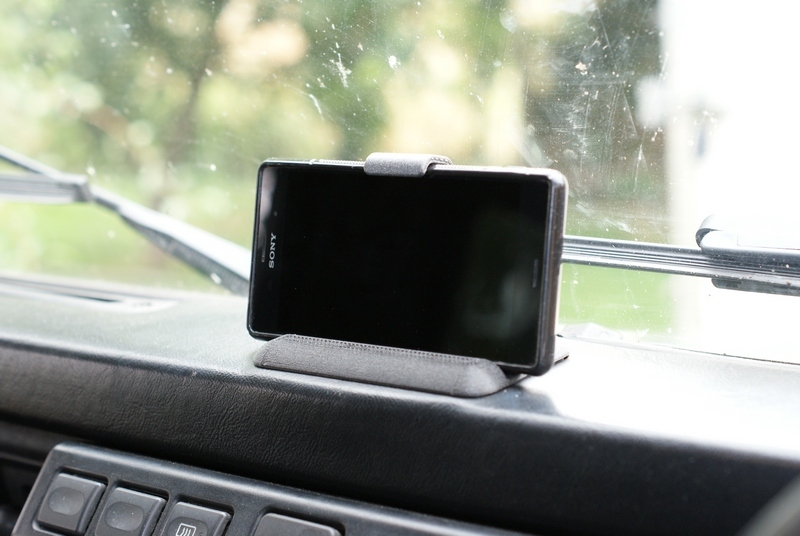 Clearly visible to driver and passenger, it will hold phones up to 10mm thick. 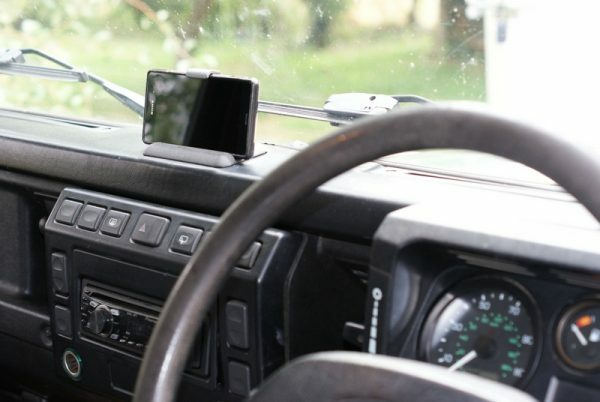 It is shipped in two parts that screw together (screws provided) but requires no tools to fit in the vehicle; simply pop out the ash tray and push the phone holder firmly into place by inserting the back edge first then pressing the front down. It’s not permanent and can be easily removed. The back clip is sprung to accommodate different phone widths up to 90mm. It’s not limited on length. To insert the phone, hold the base, insert the top of the phone and lift the sprung clip then drop the bottom edge of the phone into the slot. This is a 3D printed product, made from carbon-reinforced PLA. It’s tough and will tolerate life in a Landy just fine. Due to the manufacturing process there are fine ridges on the surface of the parts: this is totally normal. They can be rubbed down with glass paper and painted like any other plastic should you wish, but I only offer them ‘as manufactured’. A well designed product that works perfectly. Many Thanks. Perfect for my Landy and my Phone!